With the rising popularity of smart watches (the ones that look exactly the same on every wrist), I tend to gravitate towards more classic, unique timepieces. I often look to find all things timelessly cool from interior decor to style inspiration including fashion accessories. 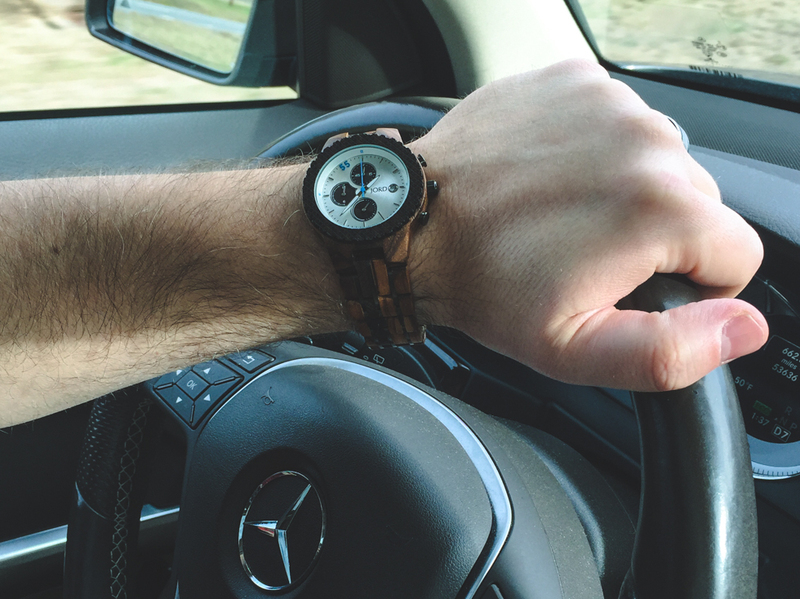 The latest gem I got my hands on, well, rather for my husband’s hand, is this handsomely crafted chrono wood watch from JORD (pronounced Yode). The organic and natural feel along with a hint of retro-sporty vibe easily made it easily stand out over other watches. Plus, the overall classic chrono design is just perfect as an everyday work watch. Sold! Both my hubby and I agreed that this wristwatch is the best-looker from his watch collection. He has sported this new favorite accessory on a daily basis since its arrival a few weeks back. His fashion confidence has been boosted no doubt thanks to the watch. A practical yet unique watch you can enjoy all year long, for numerous occasions, to go from day to night with just about any outfit. 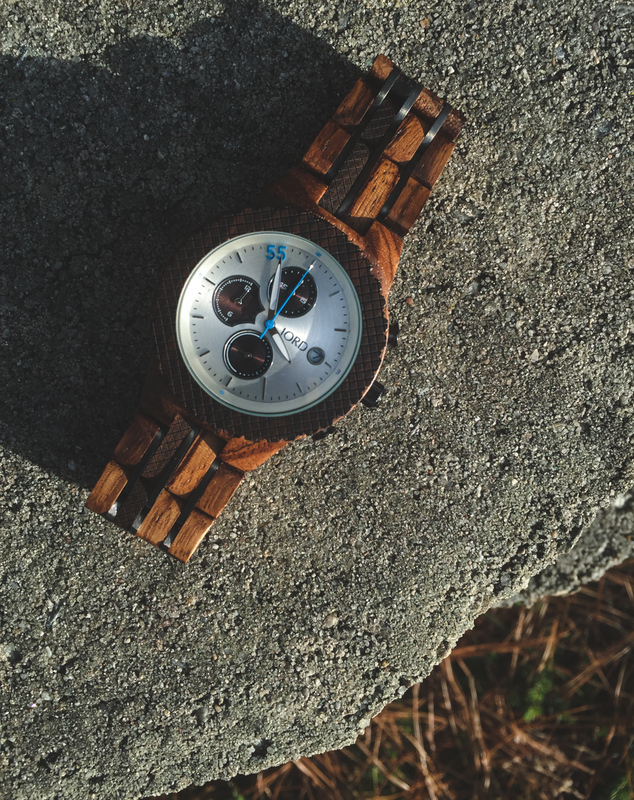 The one standout feature about this wood watch is the entire feel of it – comfy & lightweight. 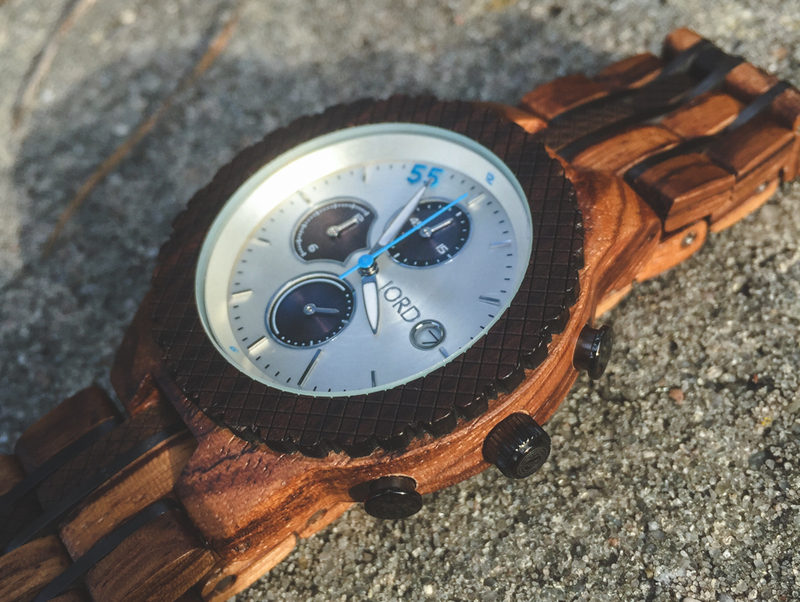 The wood certainly feels superior against the skin compared to putting on a cold metal, leather or nylon watch. This watch feels extremely comfortable all day long according to my hubby. And of course, it looks mighty good too! Check out the beautiful wood grain up close & personal. 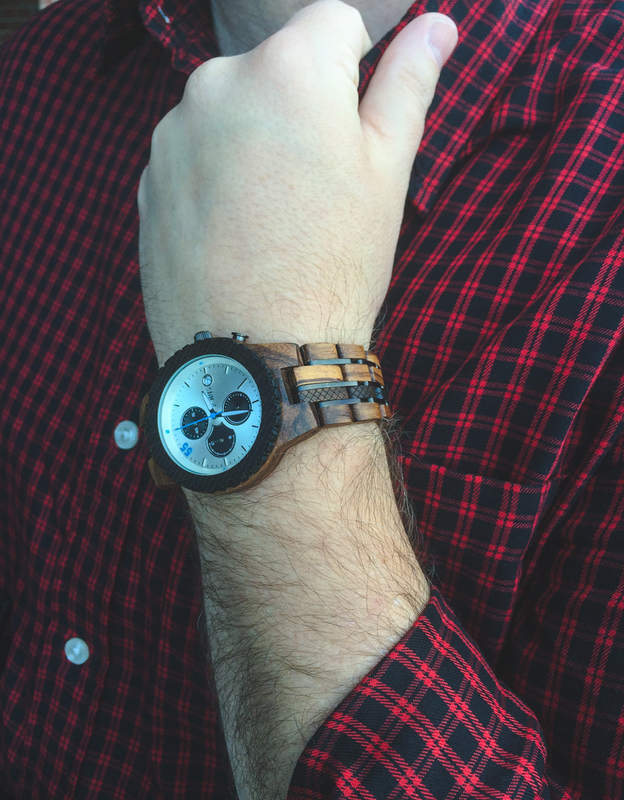 Head over to JORD and you will find a uniquely fashionable collection of both men’s and ladies’ watches. Oh, did I mention that Valentine’s Day is coming up? It will make one sweet gift as he (or she) will love slipping on this time-keeper every morning and thinking of the person who gifted it (wink, wink). One lucky reader will receive a $100 gift code toward the purchase of any watch in JORD collection! Which one is going to be your new watch? All other entrants will also be emailed a consolation 10% off gift code. The giveaway will end on 2/3/2019 (on 12:00 am EST). The winner will be notified within a month from JORD (after the contest has concluded). Disclosure: This article was written for JORD wood watches. I received a watch to review but I was not financially compensated in any way. The opinions are completely my own based on my experience. Although a wedding is the bride’s day, you sure want your bridesmaids to look gorgeous and feel happy too. Buying bridesmaid dresses are scary when you have to look for all dresses of various sizes. The plus size bridesmaid dresses are the toughest to shop. Most of the boutiques or shops do not have a variety of options for plus size bridesmaid dresses. Even if they have, it is not sure that you like those dresses. But, you do not have to worry because we are sharing here some cool shopping tips for the plus size bridesmaids. It is true that colors and body sizes have direct relations. If you are curvy, dark colors make your curves look slim. You cannot go for a baby pink or pearl white bridesmaid dresses if you are plus size. Chose the color that hides the flesh and does not accentuate the body size. Baize, black, and grey are some common colors that look good on curvy bridesmaids. You can also go for dusty rose or metallic colored dresses. Plus size bridesmaid dresses cannot be found at every store easily. Most of the shops keep dresses for the average size. Even though a store has the plus size dresses, you cannot be sure of a perfect fitting. A good tailor knows to make awesome bridesmaid dresses for all the sizes. 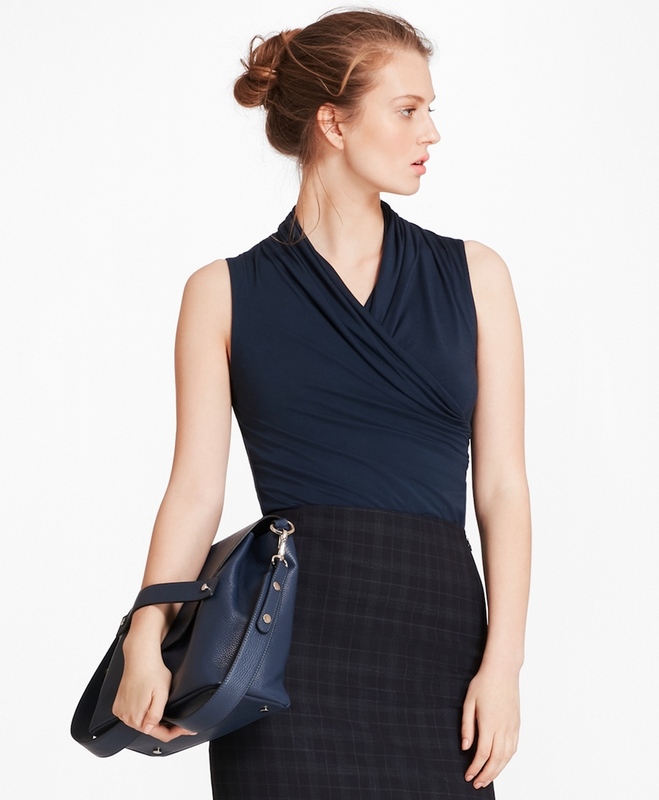 Tailored dresses have a good fitting. You can customize these dresses as per personal choices and they can make your bridesmaid happy. If you are a bride, you have a big responsibility on you. 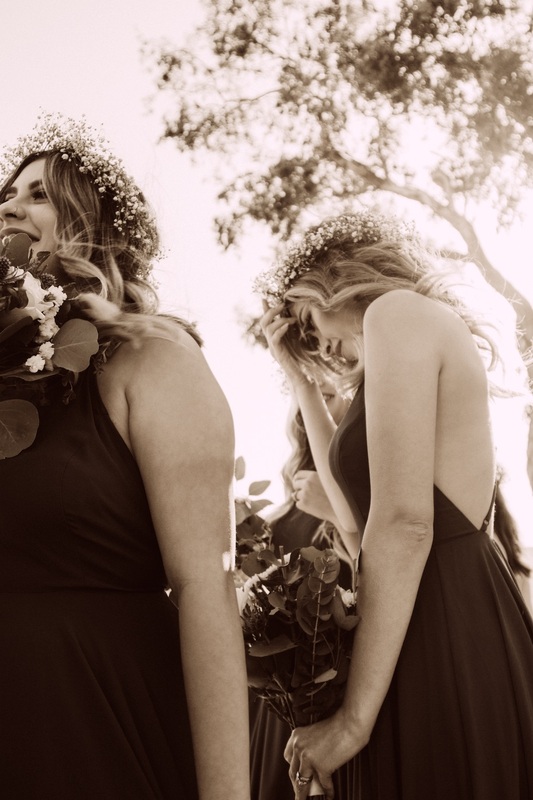 You do not have to simply choose any bridesmaid dresses but you have to select the bridesmaid dress that looks good on your plus size friends as well. A mermaid design may look great on your skinny friend and an A-cut will make your curvy friend gorgeous. You can do some variation in design that matches the dress code but perfect for each body sizes. There is never a certain condition to have exactly the same bridesmaid dresses for everyone. Whatever is your friend’s body size, she deserves to shine at your wedding. So, instead of nagging on her weight focus on having fun. Go shopping months before the wedding so you will have a wider choice and a lot of time to select the right dresses. Ok, you have arranged the bridesmaid dresses and checked all the fittings months before. Still, you need to arrange for the last minute fitting. You never know when a dress that was perfect months before is now tight or lose due to change in body weight. A pre-arrangement saves you from the last minute dilemma. The wedding is special for you but it is equally special for your friend. Even though she put on some extra weight, plus size bridesmaid dresses give her the chance to look great on your wedding day. So, instead of body shamming or telling her to lose weight, have some fun and do some vigorous shopping. After all, you cannot afford to offend your best friend because of her body shape or size. Disclaimer: This article is written by guest author.